Pretending to be cool since 2010. 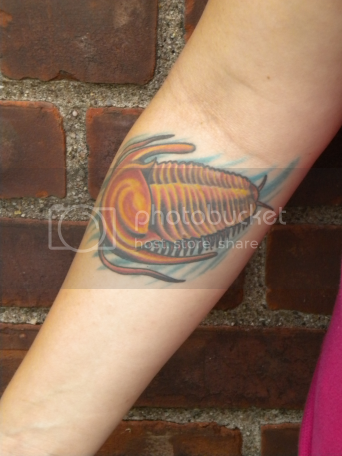 Welcome to The Tattooed Trilobite! Welcome to Tattooed Trilobite, a pop culture and nostalgia blogozine leaning more towards the girly side of things, run by the one and only Elyse Explosion. I'm a 29-year-old geoscientist from New Jersey. I like pop culture, misplaced nostalgia, neon colors, cosplay, body modifications, music, science (especially rocks), Slurpees and cheese fries.